Having foot or ankle pain can cause many issues with walking which interrupt your physical well-being. At Kalmar Family Podiatry in Huntington, New York, the highly skilled team offers shockwave therapy. This noninvasive and effective treatment reduces your pain and helps promote your body’s natural healing process to decrease inflammation and improve your blood circulation. To find out if shockwave therapy is right for you, call the office today or schedule your appointment online. Shockwave therapy is a non-surgical, noninvasive, FDA-approved treatment that uses high energy shockwaves to reduce musculoskeletal pain. The team at Kalmar Family Podiatry use the Zimmer EnPuls 2.0 Pro, which is the latest and most advanced technology to help you overcome your ankle and foot pain. The team recommends this treatment for people with the following conditions. The success rate of using shockwaves is 70-85% to help get rid of the pain. In addition to quick pain relief, you can also experience the following effects. Your foot or ankle is able to heal because the shockwaves help your body to recruit stem cells and release local growth factors at the treatment site, accelerating the natural healing process by increasing cell generation. The physicians at Kalmar Family Podiatry recommend you schedule a consultation to determine if shockwave therapy can help with your pain. What can I expect during my shockwave therapy session? The Zimmer EnPuls 2.0 machine your podiatrist uses has a small probe resembling an ultrasound wand that delivers shockwaves to the treatment site. Your podiatrist moves the probe slowly and in a circular motion to make sure you have a comfortable experience. While side effects are rare, you may feel warmth, tingling, or slight numbness following your treatment. These effects resolve themselves within two to three days. The expert team of podiatrists at Kalmar Family Podiatry recommends you receive at least one treatment per week for a total of three to six weeks. The treatment only takes 10-15 minutes, and there is no need for downtime so you can get back to your daily activities the same day. The only recommendation from your doctor is to slightly reduce your physical activity to give your treatment site time to heal. 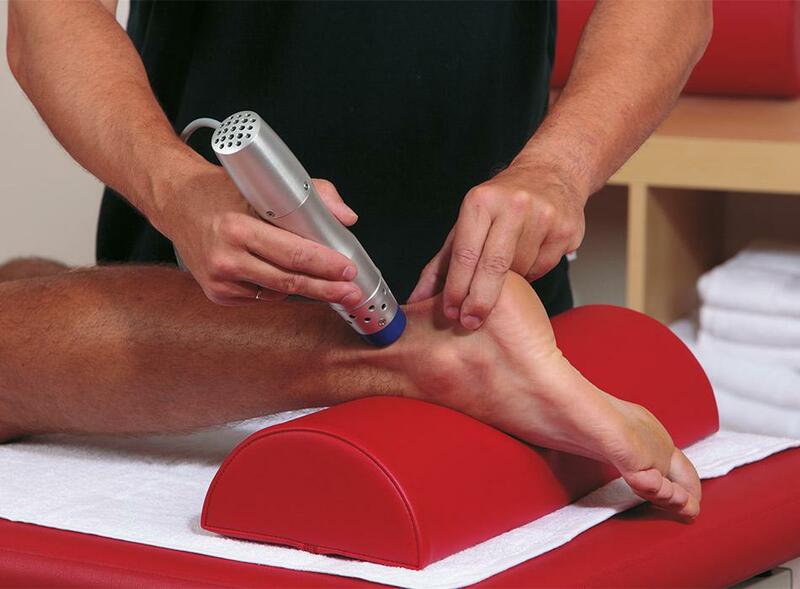 If you suffer from musculoskeletal pain and want a fast and effective way to eliminate your pain, call Kalmar Family Podiatry or book your appointment online today to learn more about shockwave therapy.